For people with special needs, receiving a payment from a non-special needs trust may have significant consequences. In fact, any unexpected payments can jeopardize a person with special needs’ eligibility for Supplemental Security Income (SSI) benefits, Medicaid, and other government programs. Well-meaning and generous relatives often want to make a child with special needs the beneficiary of a trust. While additional funds are always useful in funding living expenses, medical care, and other necessities, any funds available to a person with special needs will likely count as a “resource” for purposes of government benefits eligibility (specifically SSI and usually Medicaid as well). As the Social Security Administration says, “[I]f there are any circumstances under which payment could be made to you or for your benefit, the portion of the trust from which payment could be made is your resource.” The government reduces the amount of benefits based on the resources available to the recipient. As a result, a child or adult with special needs who has even a relatively small trust from which distributions can be made will likely become completely disqualified for both SSI and Medicaid. 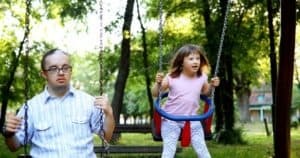 Relatives who want to make a child with special needs a trust beneficiary can set up a third-party special needs trust. This type of trust is drafted and structured so that assets in the trust do not belong – and have never belonged – to the person with special needs. Under federal law, these funds do not count as a “resource” under the rules. The trustee of the third-party special needs trust is permitted to make distributions for the benefit of the beneficiary to pay for unexpected expenses, needs not covered by government benefits, and more. Depending on what types of benefits the person with special needs receives, trust language regarding distributions may need to be more or less restrictive. The administration of the trust by the trustee may also have to be changed depending on the types of government benefits the individual receives. Many housing subsidy programs, for example, have special rules that affect how what can be distributed from the special needs trust. If you are considering setting up a third-party special needs trust, consult a qualified attorney. Alternatively, relatives may consider helping the person with special needs set up a self-settled special needs trust in some situations. If another relative has left the person an inheritance directly or if the person is expecting a lawsuit settlement, he or she will own those funds and the funds will count as a resource. Placing the funds in a self-settled special needs trust means they do not count as a resource.